Albert Einstein is credited with the observation that “Not everything that counts can be counted, and not everything that can be counted counts.” Perhaps nowhere is this principle truer than when trying to evaluate the work of faculty members and administrators in higher education. Yet the difficulty of the task rarely stops anyone from trying to count the uncountable and assess the unassessable. Much of this drive to quantify the “productivity” of professors, department chairs, deans, and provosts appears to derive from three highly related sources. First, the rise of the “accountability culture” in higher education has prompted the development of offices for measuring institutional effectiveness and documenting the results of assessment. In order for these offices to be accountable to legislatures and governing boards, they collect a series of “dashboard indicators” that measure not only the quality of an individual’s work but also its quantity. Second, the adoption of corporate methods by higher education in an effort to make colleges and universities “run more like a business” has resulted in the widespread use of techniques originally developed in the for-profit sector (SWOT analysis, strategic planning, responsibility-centered budgeting, and the like). Third, a noticeable public change in attitude about the value of higher education has prompted governing boards and legislatures to try to identify what it is that professors and administrators actually do and to measure that work in some quantifiable and objective manner. Put all three of those factors together, and many in higher education start talking about degrees and student credit hours as “products” of a college or university. The problem is, to borrow Einstein’s words, not everything that counts in higher education can be counted. In fact, the things that tend to count most in the success of faculty members and administrators can be notoriously impervious to quantification. No one will deny that we can quantify certain forms of work in higher education: the number of someone’s refereed publications, the amount of grant money received, the scores on a faculty member’s student ratings of instruction, the number of committees someone serves on, and the like. But how do you quantify intangible factors, such as success as an academic leader? There may well be indirect measures, of course. If the faculty members in our areas are producing a large number of refereed articles, successfully submitting major grant proposals, receiving high scores on student evaluations, and serving effectively on committees, then it would appear that we’re doing a fine job as administrators. But even so, it’s very difficult to tease out “the luck of the draw”—for instance, the sheer chance that a department chair or dean happens to have a particularly innovative faculty or a superior student body—from the results of the administrator’s own leadership. In other words, is there any way to distinguish the effect that an academic leader actually has on his or her programs from the results that would have occurred anyway, even if someone else had been administering that unit? In some cases, the effectiveness of an administrator’s academic leadership can be measured by observing trends. For instance, if a previous administrator had negatively affected morale in an area and when this person was replaced, there was a noticeable increase in faculty publications or student ratings across the board, it may be clear that the new chair, dean, or provost is at least partially responsible for this sudden burst of progress. Yet even here we have to be careful. The increase in measurable productivity may not be an indication that the new administrator is so good but that the former administrator was so bad. Or it could be that some external factor, such as the hiring of a new superstar member of the faculty or a change in priorities by an external source of funding, came into play at the same time as the change in program leadership. Even trend analysis doesn’t really provide an accurate measure of an administrator’s effectiveness in leadership. In the workforce at large, there are three common approaches for quantifying effort that are tied to three major compensation models. Contract terms. The employee is paid a certain amount if the terms of the contract are fulfilled. Clock time. The employee is paid a certain amount per hour, week, or month. Piece work. The employee is paid a certain amount for each item that he or she produces. Of these three models, we can set aside consideration of contract terms for the purposes of this discussion since contracts in higher education are almost always written in terms of one of the other two approaches (i.e., administrative contracts are usually either for a set period of time or, more rarely, for a set result—such as a taskforce report or strategic plan—that the employee is expected to produce). What are the implications for compensating or evaluating the work of administrators in terms of either clock time or piece work? The clock time approach is largely based on an assembly-line model. The idea is that the employer is entitled to as much work as the employee is able to produce within any given eight-hour day or 40-hour week. So, if an administrator’s duties one day are to prepare the following semester’s course schedule, complete five annual evaluations of faculty members, attend two committee meetings, and meet with one potential donor, then the amount of time it takes to perform those tasks is irrelevant. 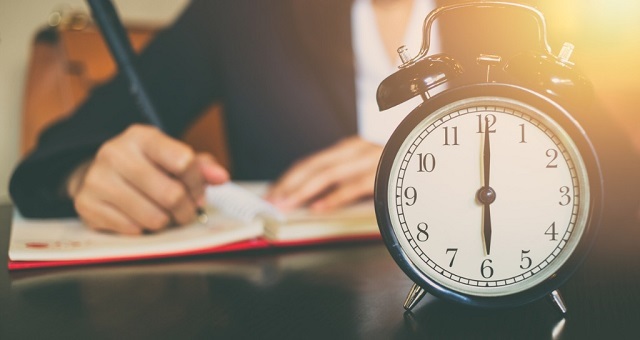 If the academic leader arrives at the office at 8:00 a.m. and is able to accomplish every single one of those duties by 11:00 a.m., he or she still “owes” the institution five more hours of clock time. Performing more work for the college or university is considered an obligation of employment, and so the administrator now has a disincentive to be efficient. After all, whether he or she does nothing at all during those five hours or performs a dozen more significant tasks, the result is the same: the institution “owns” that labor and considers it the administrator’s fundamental duty to provide it. The eight-hour day and a 40-hour week thus reward administrators for being inefficient (why take on more work when there’s no benefit to be gained from it? ), and in this way they achieve precisely the opposite of the efficiency that the person offering the contract had intended. The piece work approach is based largely on a cottage industry model. The idea is that those who produce more results receive more money. It’s the employee rather than the employer who decides when the required work is performed and how long his or her workweek lasts. If an administrator’s duties one day are to prepare the following semester’s course schedule, complete five annual evaluations of faculty members, attend two committee meetings, and meet with one potential donor, there’s a great incentive to complete those tasks as efficiently as possible. In other words, if the academic leader arrives at the office at 8:00 a.m. and is able to accomplish every single one of those duties by 11:00 a.m., the rest of the day is his or her own. Performing more work for the college or university can result in more favorable evaluations (a benefit to the administrator), while devoting this “recovered time” to consultancies and other paid opportunities can result in added income (also a benefit to the administrator). The piece work approach thus rewards the administrator for being proficient and encourages academic leaders to use their time most effectively. In reality, of course, neither the clock time nor the piece work model really reflects the complexity of higher education administration. Few administrators have the luxury of working only an eight-hour day, and few days occur when responsibilities can be identified as a set number of discrete tasks. But throughout higher education, we’re now experimenting with approaches that award students credit on the basis of whether they achieve learning, not solely on the basis of “seat time.” And we have long promoted faculty members not just because they’ve served the required number of years, but also (and more importantly) on the basis of their individual accomplishments. So it’s ironic that the very people in the academy who are charged with attaining greater efficiency throughout their programs are the same people who are compensated in a manner that discourages their own efficiency. Perhaps that’s why we have so many meetings and PowerPoint presentations. Reprinted from “Clock Time Versus Piece Work in Higher Education” in Academic Leader 28.2(2012)7 © Magna Publications. All rights reserved.